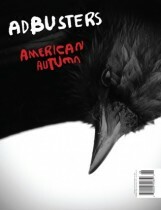 From their website: Adbusters is a not-for-profit, reader-supported, 120,000-circulation magazine concerned about the erosion of our physical and cultural environments by commercial forces. From their website: reframes the biggest problems of our time in terms of their solutions. Online and in print, we outline a path forward with in-depth analysis, tools for citizen engagement, and stories about real people working for a better world. From their website: Mother Jones is an independent nonprofit whose roots lie in a commitment to social justice implemented through first rate investigative reporting. From their founding prospectus, 1865: The Nation will not be the organ of any party, sect, or body. It will, on the contrary, make an earnest effort to bring to the discussion of political and social questions a really critical spirit, and to wage war upon the vices of violence, exaggeration, and misrepresentation by which so much of the political writing of the day is marred. Focuses on technology, culture, politics, business. From their website: Z is an independent monthly magazine dedicated to resisting injustice, defending against repression, and creating liberty. It sees the racial, gender, class, and political dimensions of personal life as fundamental to understanding and improving contemporary circumstances; and it aims to assist activist efforts for a better future. From their Publisher: The New Yorker is a national magazine edited to address current issues, ideas and events. The magazine blends domestic, and international news analysis, with in depth features, critics and humorous observations on politics and business, culture and the arts, education, style, sports and literature. From their website: Harper’s editors sift through the culture's vast output of information, searching for gleaming points of significance, and each month present their findings via such original journalistic devices as the Harper’s Index, the Readings section, the Annotation, and the Map. From their website: The Progressive is to be a journalistic voice for peace and social justice at home and abroad. The magazine, its affiliates, and its staff steadfastly oppose militarism, the concentration of power in corporate hands, the disenfranchisement of the citizenry, poverty, and prejudice in all its guises. We champion peace, social and economic justice, civil rights, civil liberties, human rights, a preserved environment, and a reinvigorated democracy. In depth science articles of today. From their website: Scientific American, the oldest continuously published magazine in the U.S., has been bringing its readers unique insights about developments in science and technology for more than 150 years.